Save time in the classroom. With online & blended BLS or refresher training, you can learn whenever and wherever you want. Our online video courses feature a qualified instructor. They are designed to be much more engaging than traditional slide-based training often associated with e-learning. Our video courses are more engaging than traditional slideshow e-learning. The 100% online course is the most convenient and least expensive of the course options. This course type works best for awareness level courses that do not require a hands-on component for compliance. If you choose this course type, you will watch the training videos on the computer, take the test and print your certificate... all through the Internet. The blended course combines the efficiency of online learning with the confidence that a practical exercise offers. Blended courses are a great alternative for anyone who requires a practical evaluation for workplace compliance reasons. When you register for a blended course, you will be immediately granted access to watch the training videos and take the test. After completing the online portion, you will choose an instructor from our National instructor network to conduct a short, practical skill evaluation and issue your certification. There is an additional evaluation fee that will be paid directly to the instructor. The blended course combines the efficiency of online learning with a formal classroom lesson. Blended courses a great way to save time in the classroom while satisfying workplace requirements. When you register for a blended course, you will be immediately granted access to watch the training videos and take the quiz. After completing the online portion, you will locate a part 2 classroom lesson. Healthcare CPR/BLS is available to be taken as a classroom course with one of the instructors in our National instructor network. Click here to see if there are any upcoming courses near you. New courses are being listed all the time. You can be confident that every ProTrainings course is of the highest quality. Our online and classroom courses are endorsed by Skills for Care and we are proud to be one of a few training providers who have been nominated as a Skills for Care Centre of Excellence. We are also proud to be a Training Qualifications UK Diamond Centre, which is the highest level you can attain and offer a wide range of regulated qualifications through TQUK and Future Awards and Qualifications. 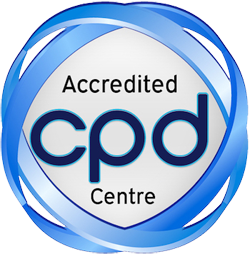 All of our courses have also been independently verified for CPD so that you can print out a CPD certified time credit statement to prove your continuing professional development when you have finished your training. Our commitment to quality assurance is also underpinned by ISO9001 AND ISO45001 accreditation and we are members of a number of trade organisations. Our excellent network of instructors throughout the UK deliver courses that have been developed to make training engaging and informative. 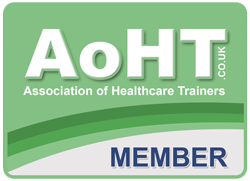 You will have access to video refreshers, updates and other useful training materials. With ProTrainings, the learning doesn’t finish when the course ends. For more information about our accreditations and endorsements, see our accreditations booklet. Medical professionals with a duty to respond in an emergency are required to complete annual BLS training. You can complete this course as initial training or as your annual refresher. With ProTrainings, you are no longer required to spend hours in a classroom. Our blended training enables you to complete all the course content online at your convenience. All that is left is to complete a short skill evaluation to meet the learning outcomes and assessment criteria of an equivalent classroom course. The UK Resuscitation Council 2015 guidelines state, "Short video/computer self-instruction courses, with minimal or no instructor coaching, combined with hands-on practice can be considered as an effective alternative to instructor-led BLS and AED courses." Large companies or agencies are encouraged to contact us for group discounts and information about onsite evaluations and how our system can be used to track and monitor staff training. This course complies with the latest 2015 ERC and UK Resuscitation Council Guidelines and is aimed at Healthcare Professionals with a duty to respond. We also have a national network of instructors who can come to your workplace to deliver the training and to work within your time schedules. Taking this training as a blended course saves valuable patient contact time ensuring that nothing is cut from the training course. 4.5 Rating Based on 4374 Reviews. Our customers are happy with our first aid courses and so are the companies they work for. Check out what our students have to say about their experience, or view more of our star ratings. Reading pages and pages can be boring. And waiting for a class, time-consuming. At ProTrainings, we offer a better way with our high-quality, video-based courses. Each video is led by a qualified First Aid Instructor. Get started today. CPR/BLS for Healthcare Professionals L2 (VTQ) is rated 4.5 out of 5 based on 4374 ratings.